A lot of people believe that creating a sales funnel is a dead marketing tactics, but we have a different opinion altogether. While such business tactics has been used extensively in the past; things have evolved a great deal. 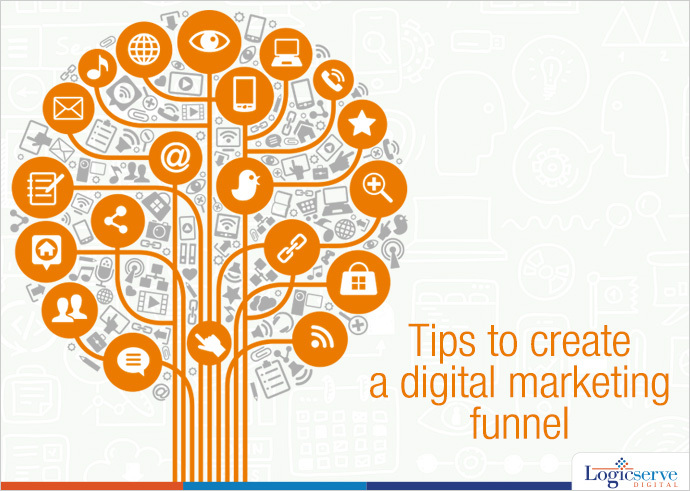 When you are looking to create the best digital marketing funnel, here are the things you need to be acquainted with. Initially, you need to offer the right kind of understanding and value to your customers. This step can be a little tricky because the people you approach have not yet made their decision to avail your products and/or services. In this step, you have to reach out to potential customers, explicitly define the problems which they are already facing and then give them the solution to their problems. This method aims at bringing more and more people interested in your service. You should not expect to have a 100% result because there will be people who are not going to be convinced regardless of what statistics and factual data you show them. You need to adopt the right approach and try and offer as much positive information as it is feasible. With the right information and a convincing pitch, you will be able to educate the customers and get them on your side as well. This strategy forms the top of the funnel. This strategy falls in the middle of the funnel. It can be tricky and tough. In this part, your main aim is to persuade the customers to bring you sales. Once you have educated your potential customers; you now need to ensure that they are actually influenced by the quality of your products and services ad express desire to buy the same. Before the beginning of this stage, your customers are aware of what you have to offer. However, in this stage, you need to offer them even more incentives and make sure that they do not end up navigating away. You need to offer the best incentives and highlight the reasons as to why they should choose you. The more people you persuade, the better will be the output which you will get from the marketing funnel strategy. This stage can last for a longer duration depending upon the ease with which you can convince your customers. This is the bottom part of the funnel and involves the use of the apt sales pitch. Despite knowing the details and being aware of the fundamentals, a sales pitch is mandatory because it is the thing that ultimately brings you the final sales. You need to have a clear call to action and you have to guide your customers to making the final sales. Offer free discounts or even products; hold giveaways, have lottery coupons or do whatever marketing which you thing can bring you quick and instant sales. When you are following this systematic step by step marketing funnel strategy, your business is likely to reap the right set of dividends and you may be able to enjoy the finest benefits as well. News : Time to bid adieu to Orkut!